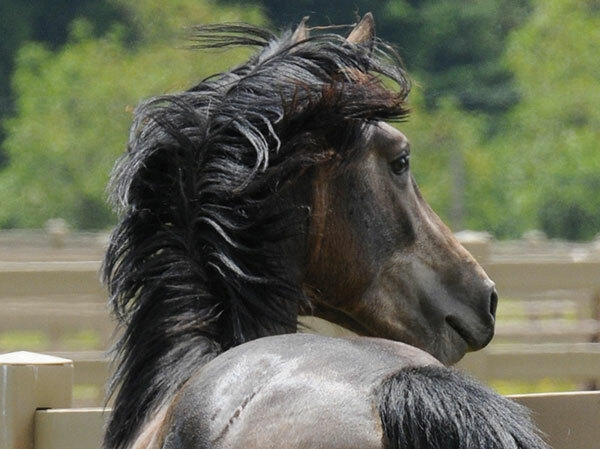 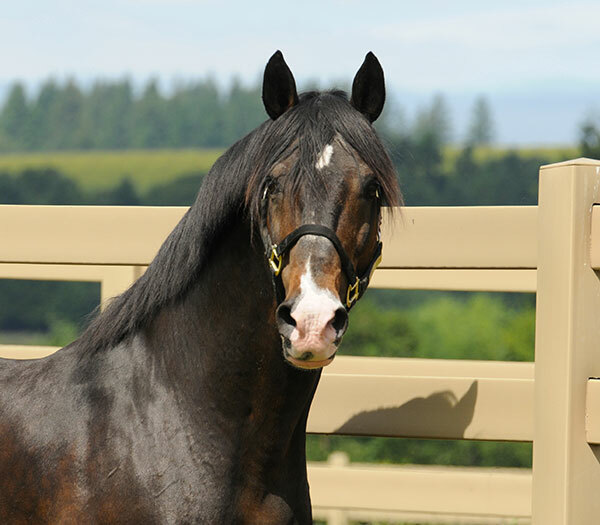 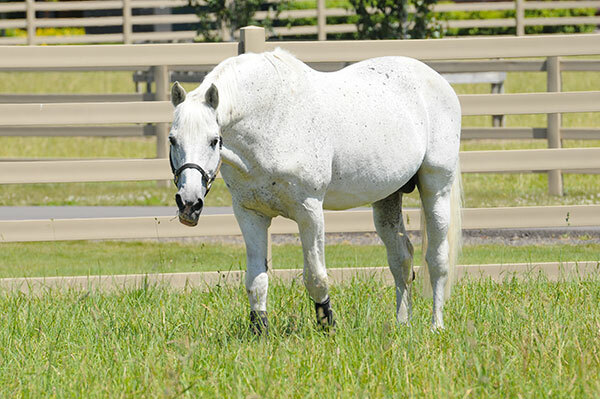 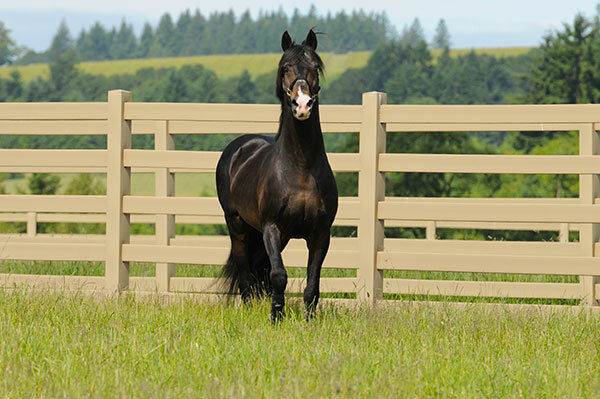 Year-Round Management of Breeding Stallions. We stand a limited number of outside stallions if space is available. Stallions are housed in spacious 16’ x 20’ stalls. 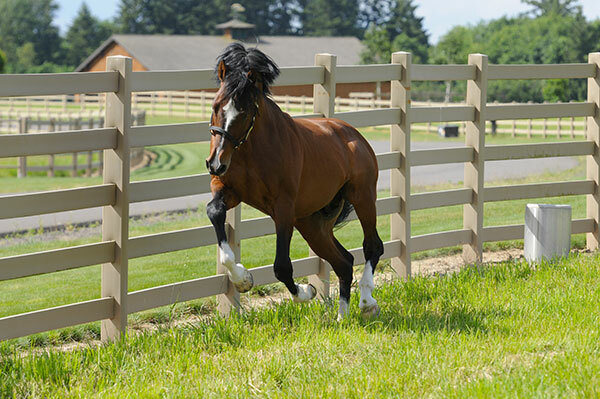 Each stall has a generous all weather paddock, allowing full in/out privileges. 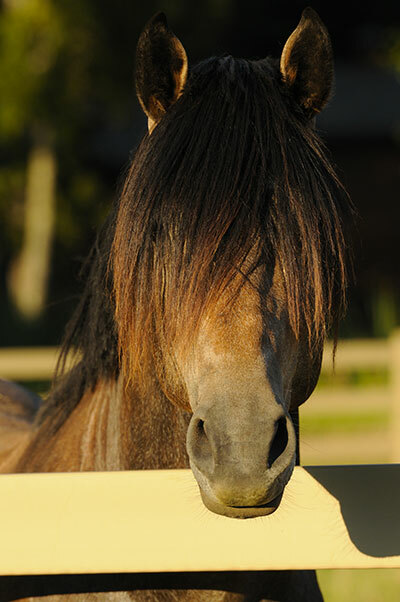 There are cameras mounted in each stall so stallions can be monitored day and night. Daily grooming, blanketing and turnout services are included in the monthly board fee. 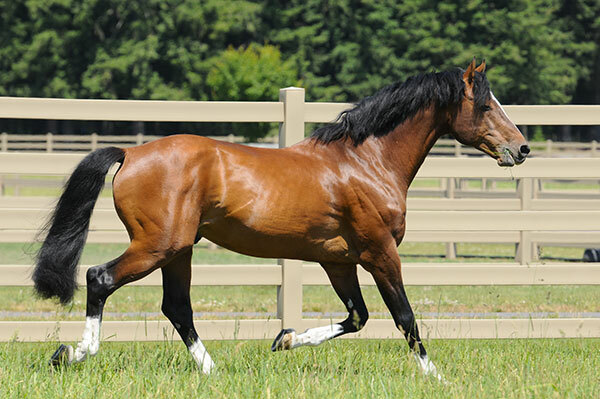 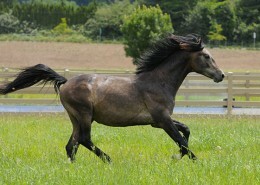 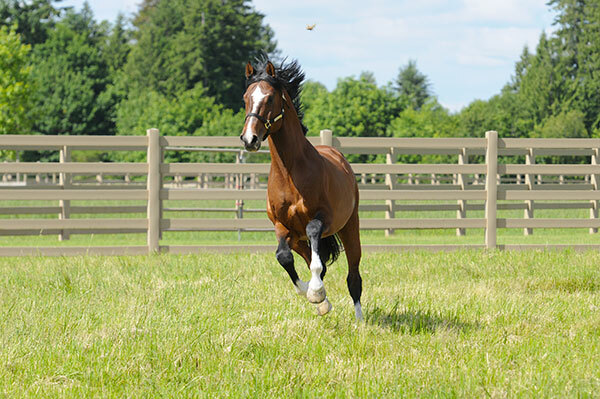 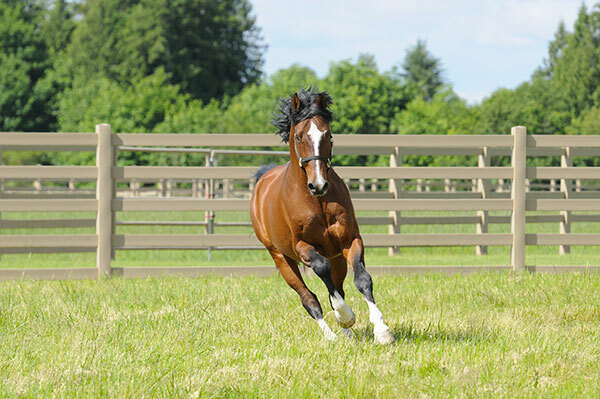 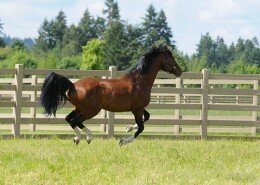 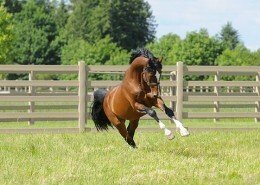 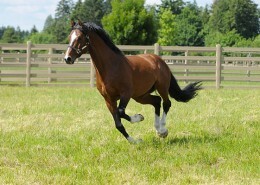 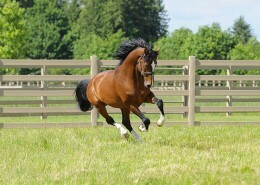 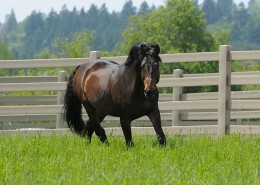 Each stallion has daily turnout time in either a sand paddock or grass paddock. 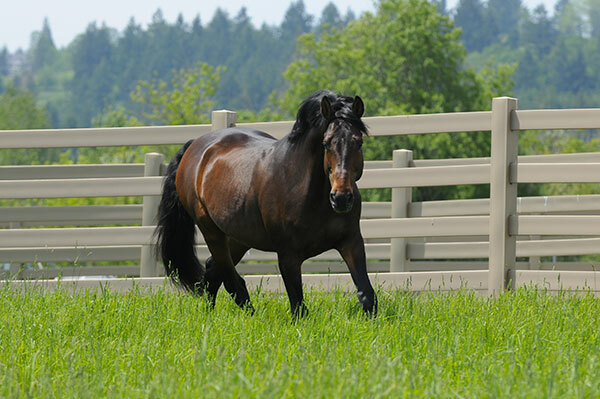 Late spring through early autumn, they have turnout time in individual 2-acre grass pastures. 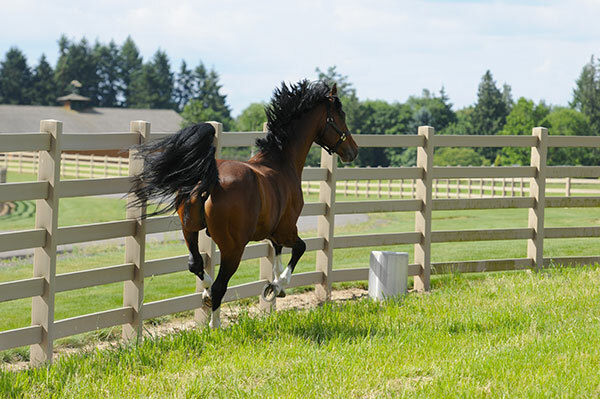 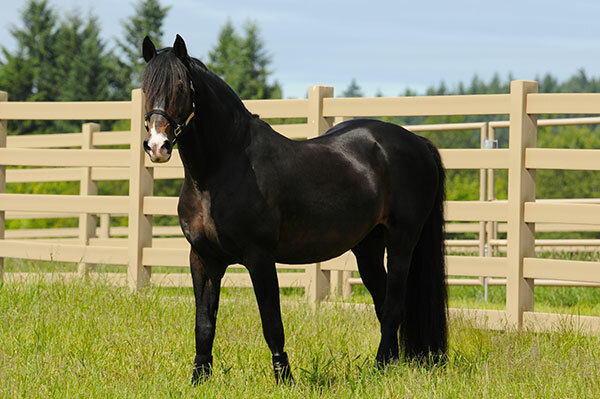 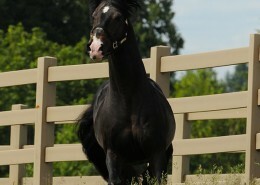 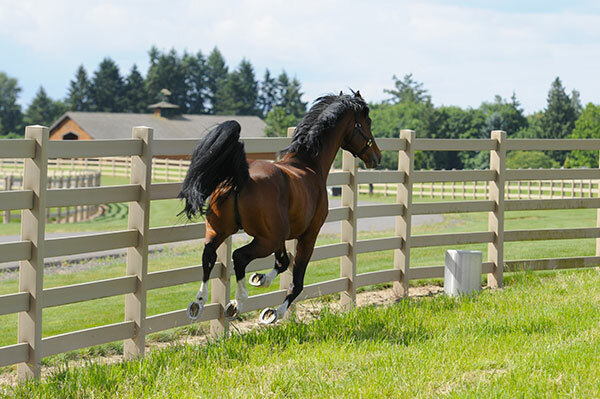 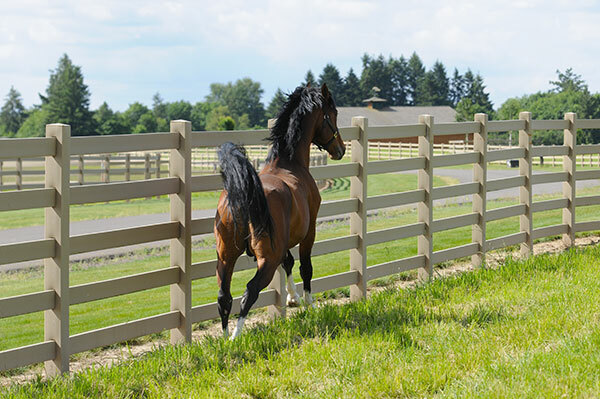 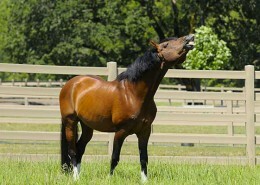 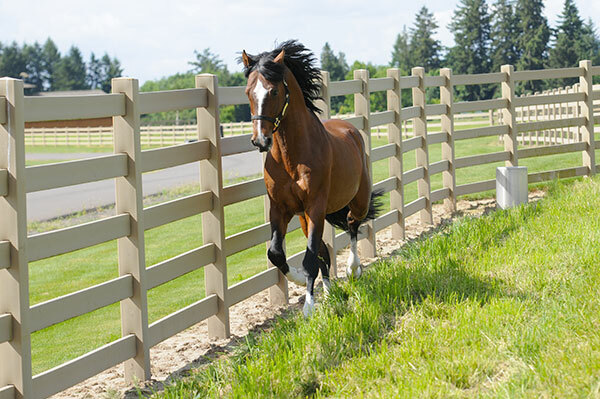 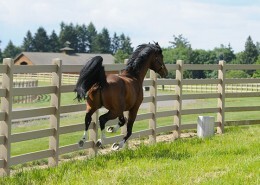 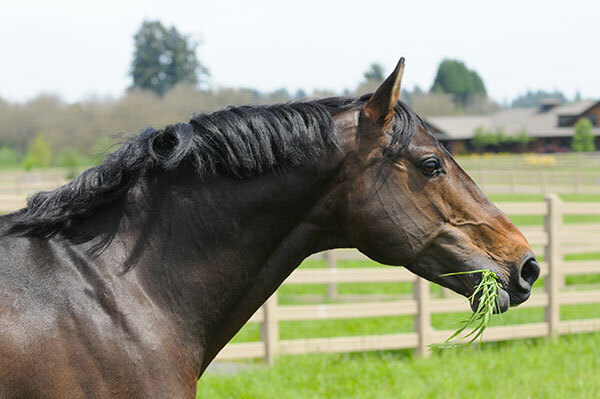 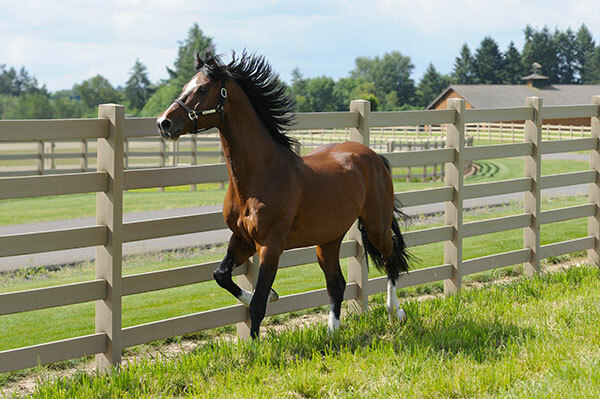 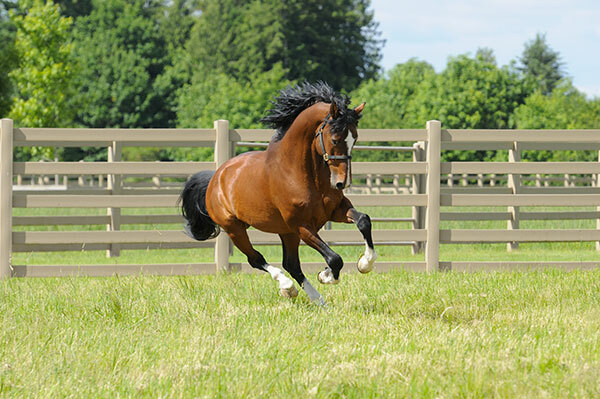 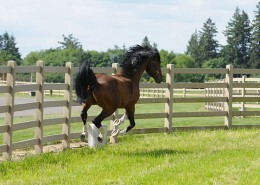 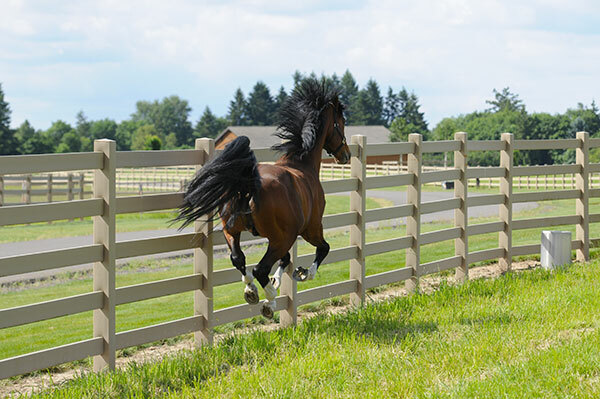 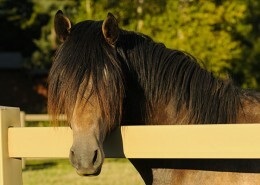 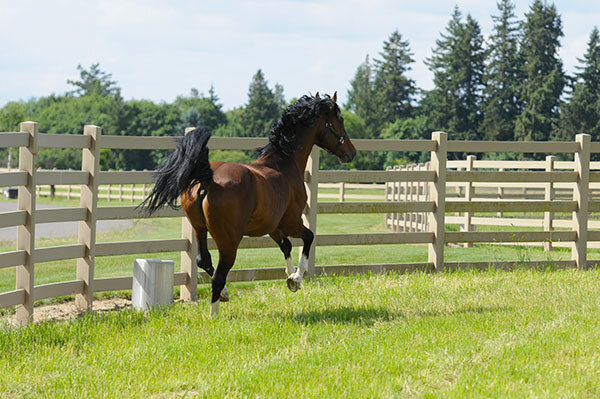 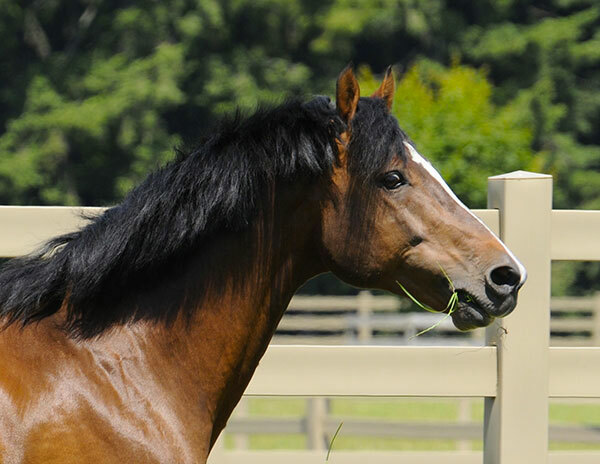 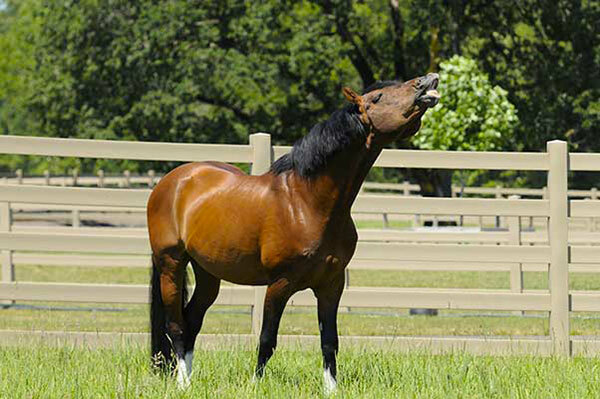 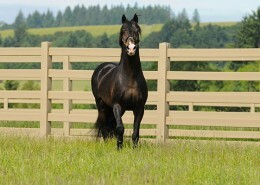 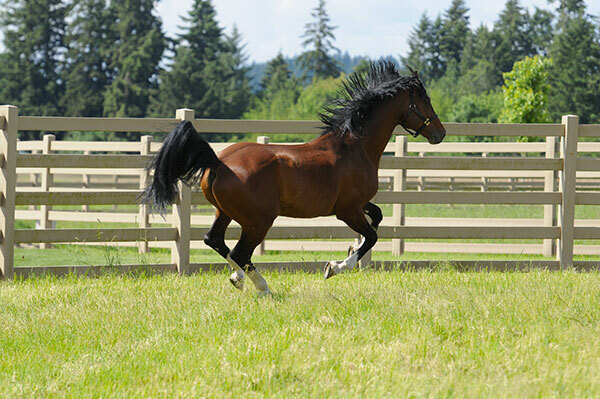 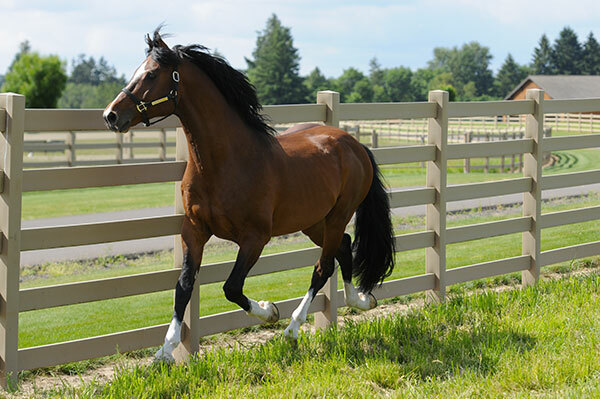 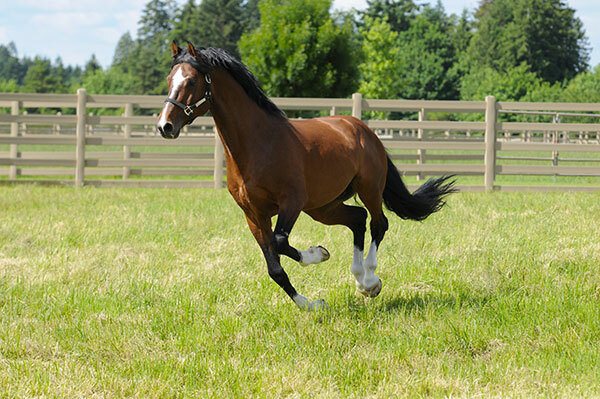 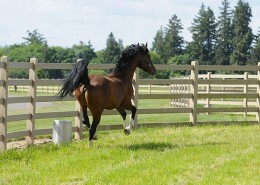 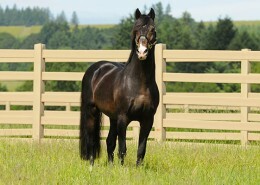 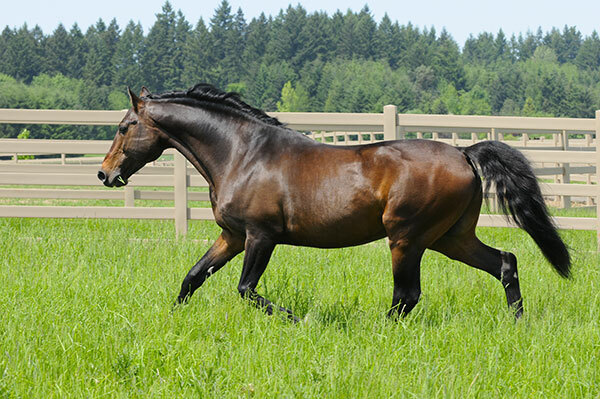 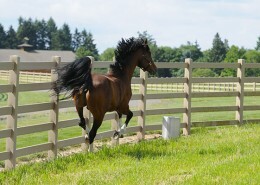 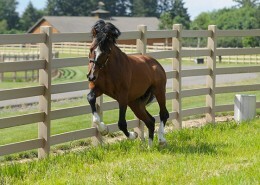 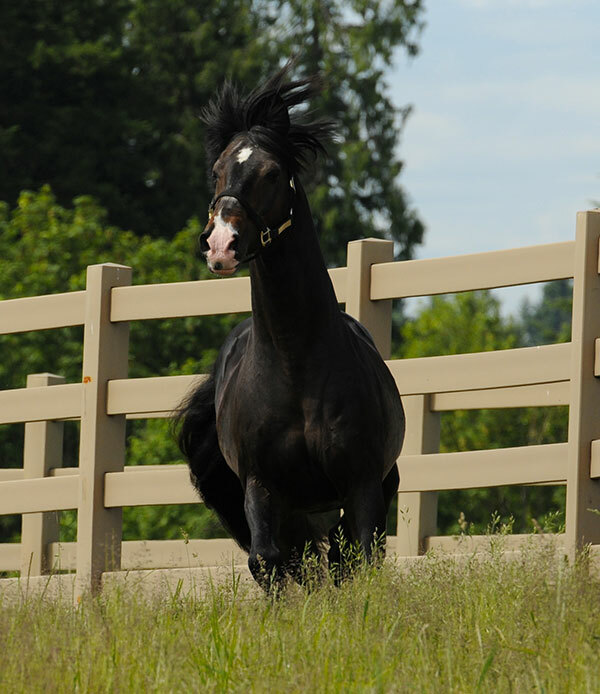 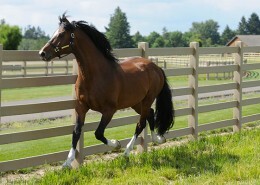 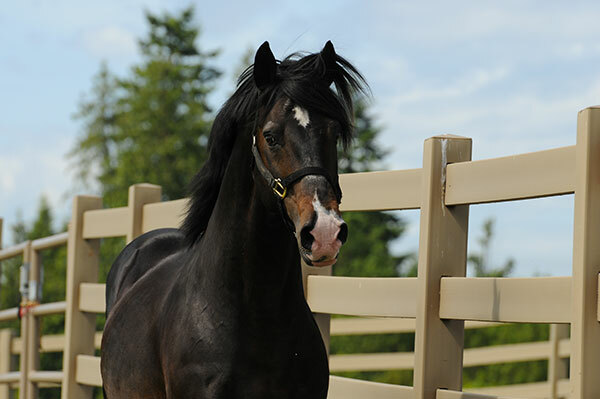 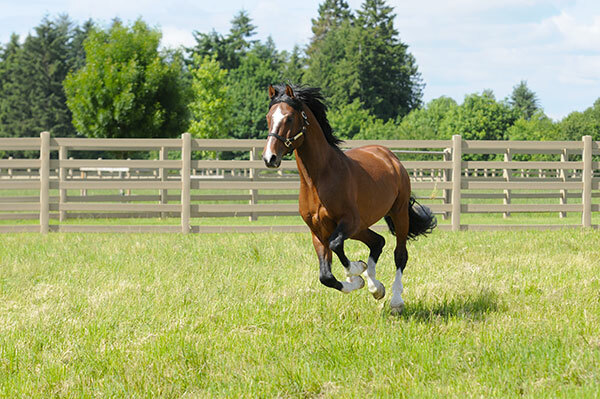 All stallion fencing is safe synthetic post and rail and will not cause injury. 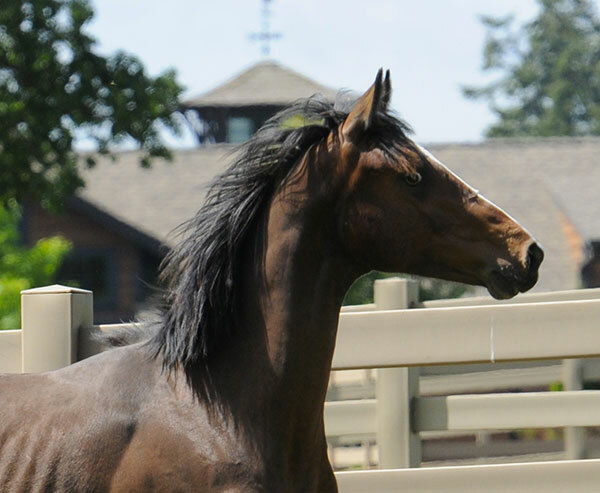 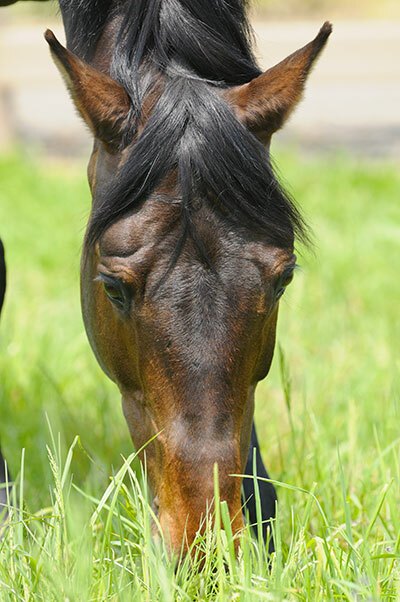 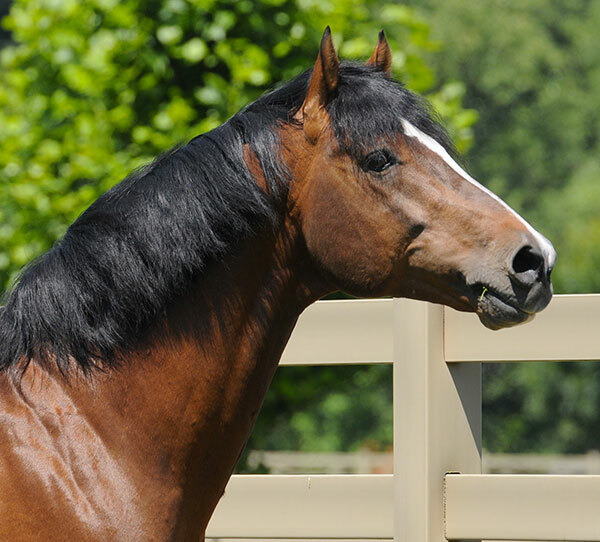 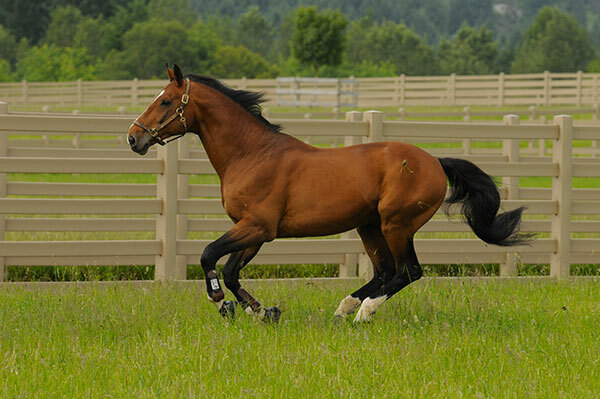 During the breeding season, we take care of all collection procedures and shipments when requested by mare owners. 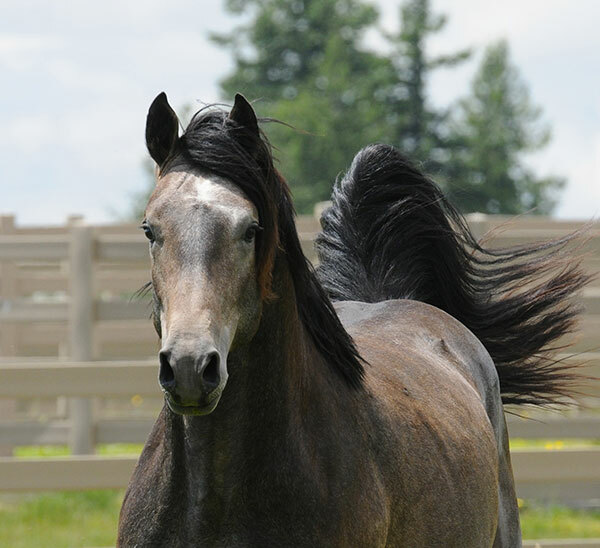 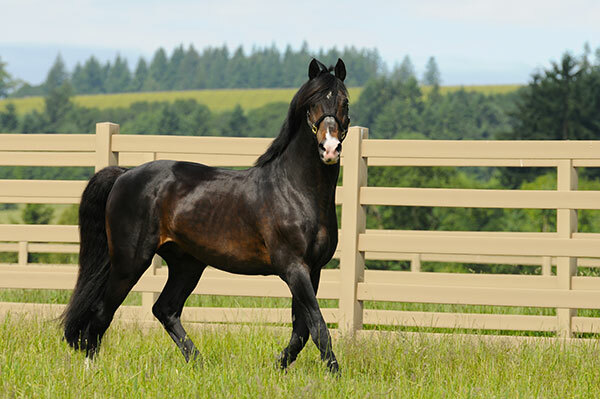 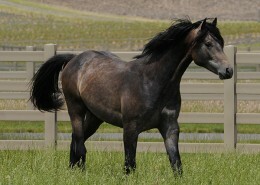 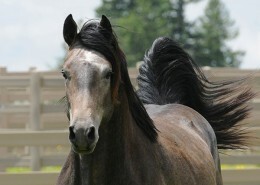 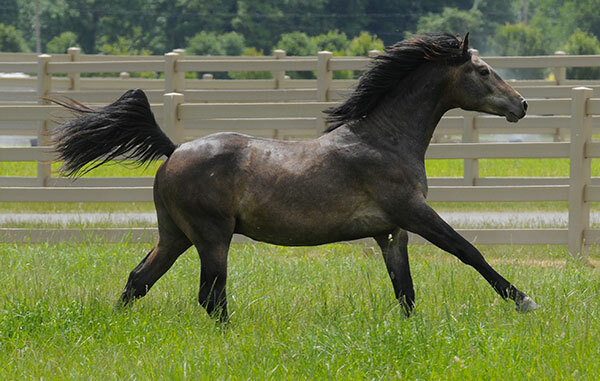 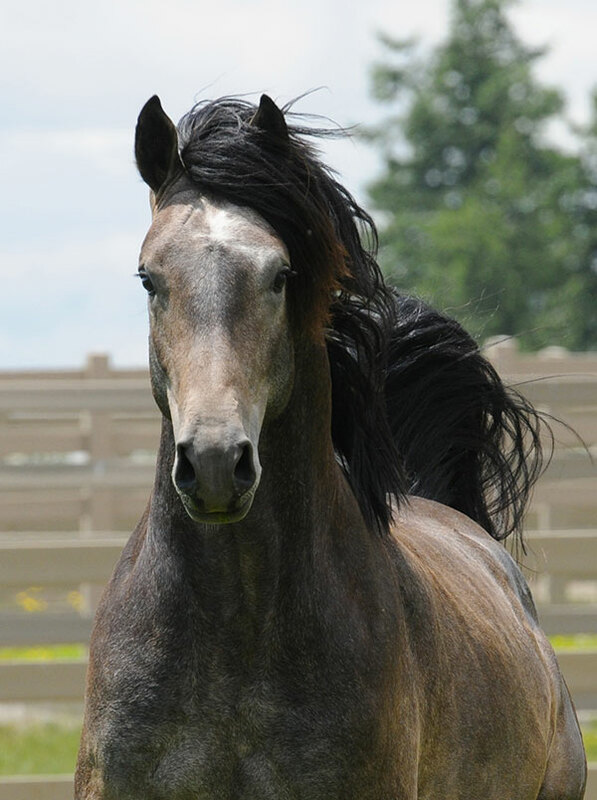 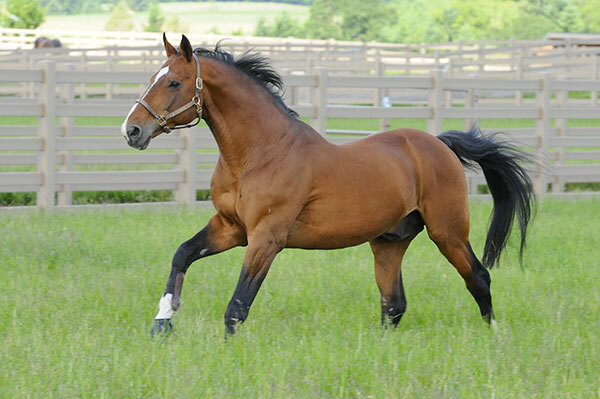 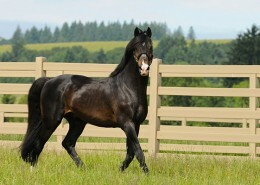 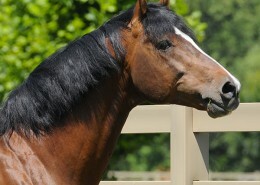 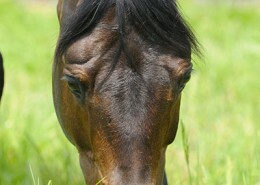 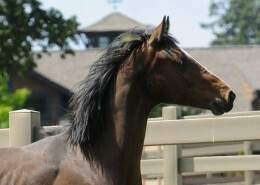 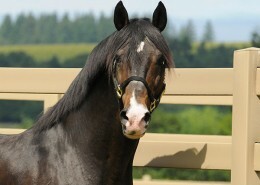 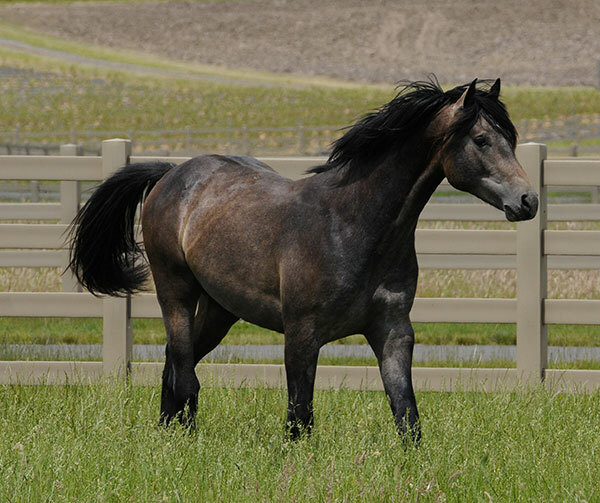 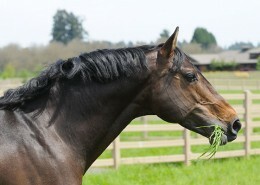 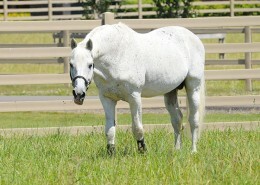 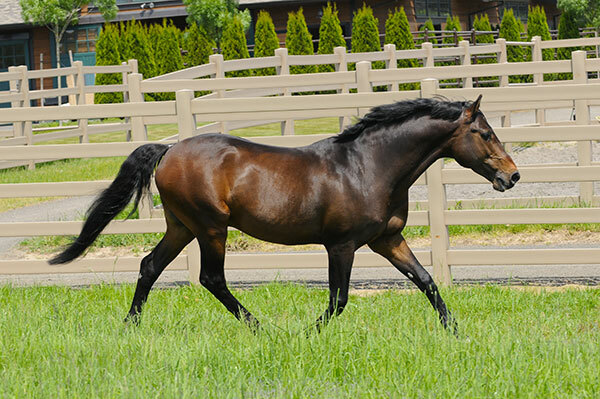 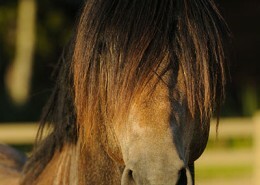 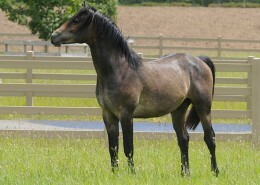 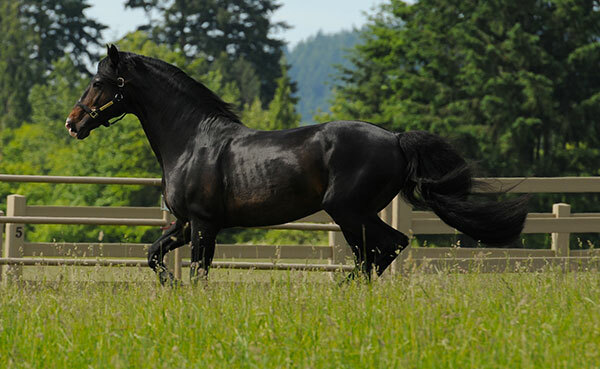 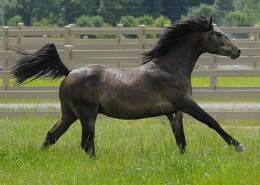 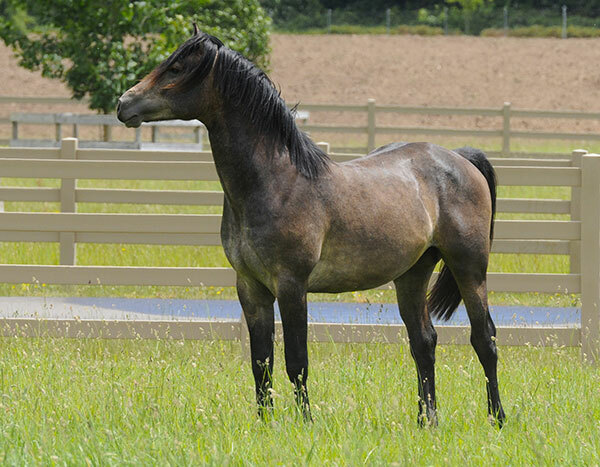 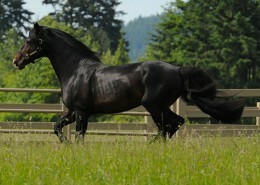 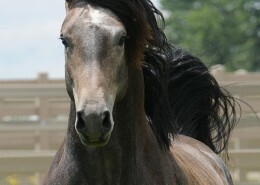 We are also available to show stallions to prospective mare owners looking for the ideal match for their mare. 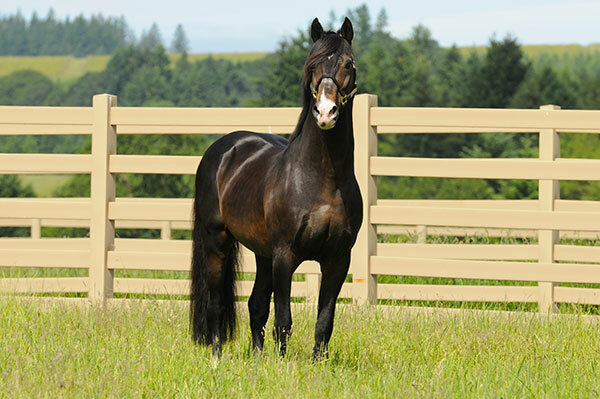 We keep detailed health and farrier records and maintain a regular vaccine, dental and deworming program.